A company at the center of widening questions involving President Trump’s personal lawyer Michael Cohen is listed as the organization behind a string of websites targeted toward white nationalists and other members of the alt-right. Columbus Nova, a company whose U.S. chief executive, Andrew Intrater, and Russian investment partner Viktor Vekselberg have both reportedly been interviewed by special counsel Robert S. Mueller III’s team, is listed as the registrant behind a handful of domains for websites named after the alt-right that were created during the 2016 election. It is unclear if any of these websites were launched or ever hosted content. 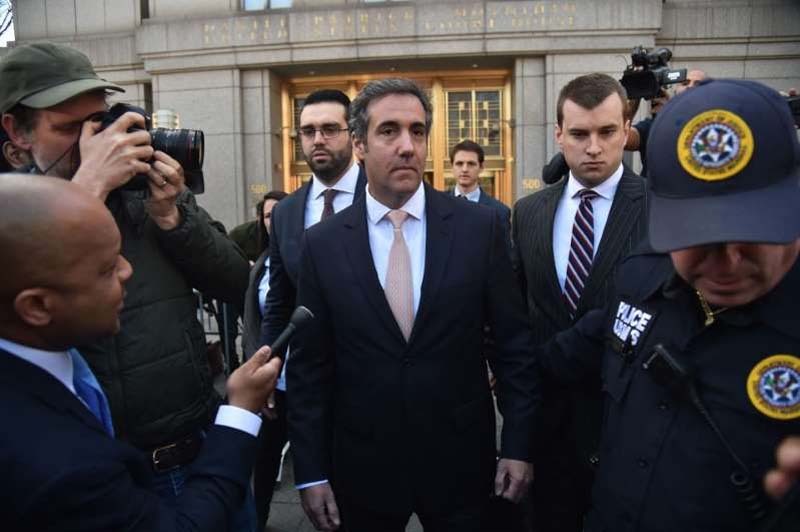 Columbus Nova, which describes itself as an investment firm, has been the subject of significant public scrutiny after it was revealed that it had retained as a consultant Cohen, whose home and offices in New York were recently raided by federal investigators. Michael Avenatti, a lawyer for the adult film actress Stormy Daniels, circulated a document on Tuesday that purported to show that Columbus Nova gave $500,000 to Cohen in the first half of 2017. Intrater’s brother, Frederick, a design manager at Columbus Nova, is named along with the company on the registration databases for the websites. A spokesman for the company told The Washington Post that Frederick Intrater was not acting on behalf of Columbus Nova when he registered the sites, even though he had used his company email address and listed the organization. The spokesman said that Columbus Nova was not aware that the sites had been registered before Wednesday. Frederick Intrater did not respond to emails or a message left on his Columbus Nova voice mail. The site registration was first reported by NBC. Avenatti’s disclosures Tuesday about the money purportedly given to Cohen’s shell company, Essential Consultants, by Columbus Nova and other corporations, including some with business before the Trump administration, delivered a jolt to a news cycle as questions continue to swirl about whether the work that Cohen did on behalf of Trump complied with federal and state laws. The unexpected federal raid of the his offices last month has raised the specter of a potential criminal charges for Cohen, who The Post reported is under federal investigation for possible bank fraud, wire fraud and campaign finance violation shortly thereafter. Avenatti’s document appeared to herald the potential that two explosive story lines could converge: the Russia investigation and the $130,000 payout to Daniels, with Cohen at the center. Avenatti claimed that Vekselberg may have provided funds that “replenished the account” following Cohen’s payments to Daniels. Vekselberg has denied through a spokesman that he or the company he founded, Renova Group, have had any “contractual relationship” with Cohen.